The National Football League and Yahoo have announced a partnership that will make the Sunday, Oct. 25 game between the Buffalo Bills and the Jacksonville Jaguars available on every screen in the world. The first-ever livestream of an NFL game will run across Yahoo properties globally, including Yahoo, Yahoo Sports, Yahoo Screen and Tumblr, which boast more than 1 billion monthly users. Essentially, the NFL is giving away the most valuable content on television for free—albeit a game played in London between two mid-market teams that starts at 9:30 a.m. on a Sunday morning. But why Yahoo? "With over a billion people visiting their properties on a monthly basis, they have an extensive reach, especially on a global scale," NFL spokesman Alex Riethmiller told Adweek. "With a game that starts early on the East Coast, it should draw a big audience in Europe and Asia, and Yahoo will be able to promote this game heavily to those audiences." 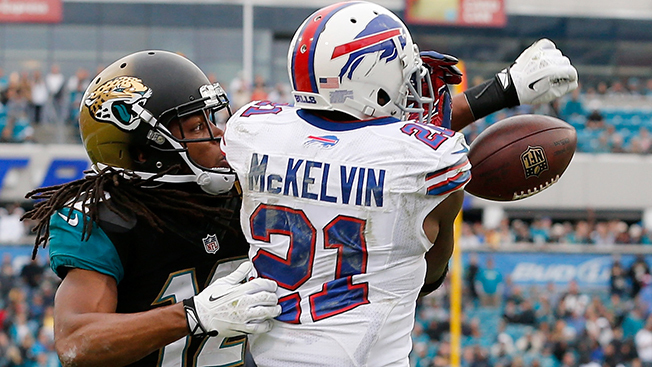 The Bills went 9-7 last season, while the Jaguars finished 3-13. The game will also be televised locally on CBS affiliates in both cities: WIVB-TV in Buffalo and WTEV-TV in Jacksonville. "We're thrilled that the NFL has chosen Yahoo for this historic opportunity," said Yahoo president and CEO Marissa Mayer. "It marks a significant change in the way users can access this amazing content. Our partnership provides the ultimate football experience—with digital availability, designed for the modern fan." NFL games reached 202.3 million unique TV viewers during the 2014 regular season, according to Nielsen, but fans can expect the league to explore other streaming opportunities down the road. "This is a great first step with Yahoo, and we expect to learn a lot," Riethmiller said. "As for future opportunities, we'll evaluate everything we learn after this game and look for additional steps down the road."